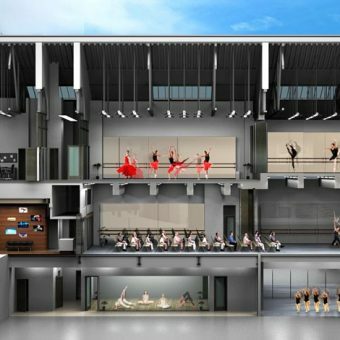 New Construction: The Peridance/Capezio International Dance Center is one of the largest dance education, rehearsal and performance complexes in New York City. 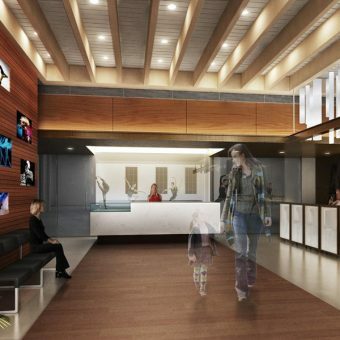 They offer numerous classes, performances, and foreign students and children’s dance programs. 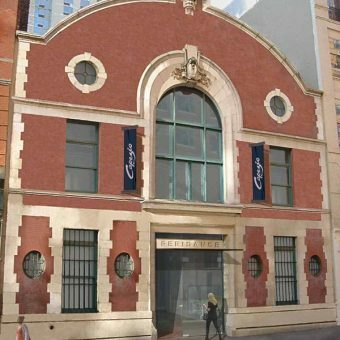 Originally the Van Tassell and Kearney Horse Auction Mart, the building is the last horse auction market building left standing in New York City. 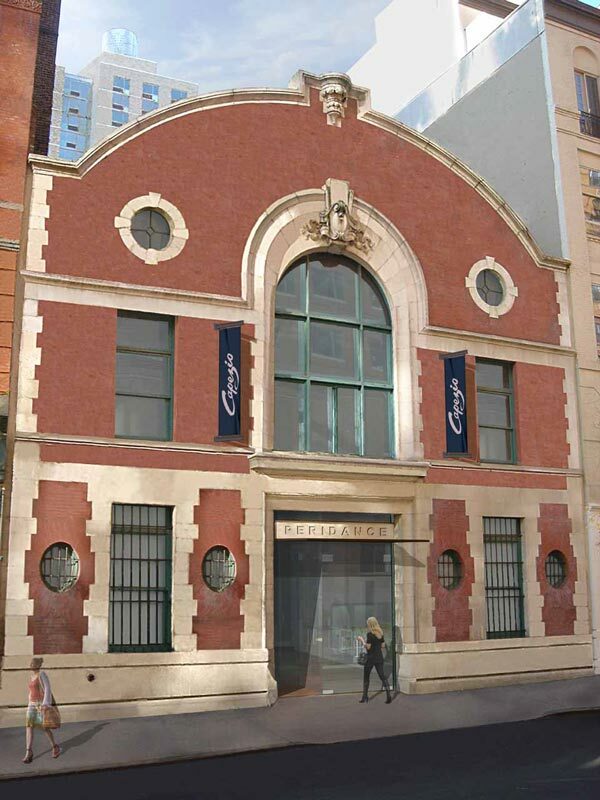 Built in 1903 and on the National Register of Historic Places, the building previously served as the studio for the artist Frank Stella from 1978 to 2005. Kohn Architecture retained the historic façade and truss shed roof and removed the entire interior structure. 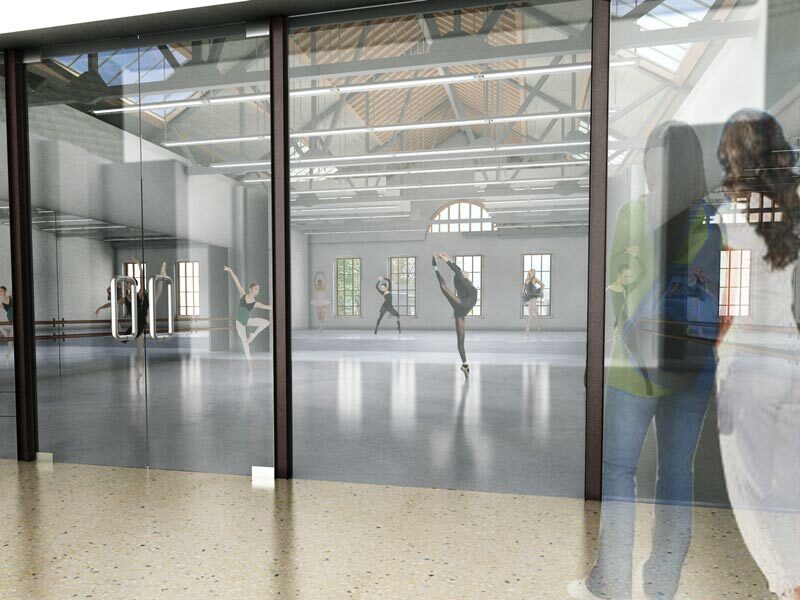 A 5000 sq ft Cellar was excavated and 5 adjoining buildings were underpinned. A new 17,000 sq. 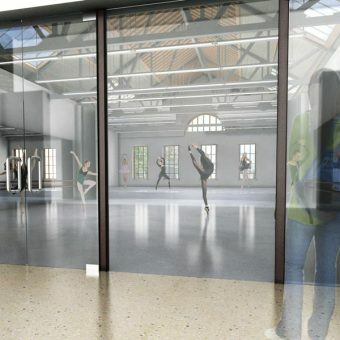 ft. space was constructed with 6 large, professionally equipped studios featuring high ceilings, column free space, sprung floors, and sound systems. 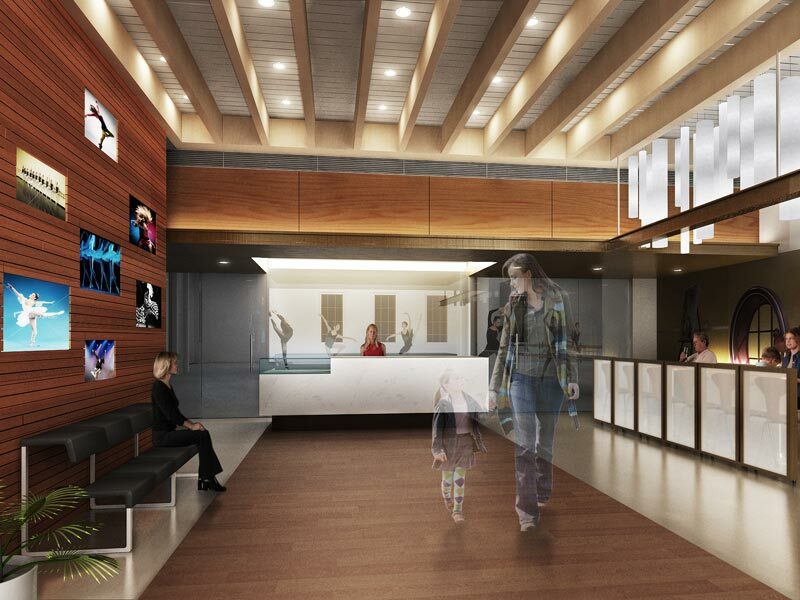 Other new construction included an elevator, mechanical, sprinkler, plumbing, electrical and lighting systems. 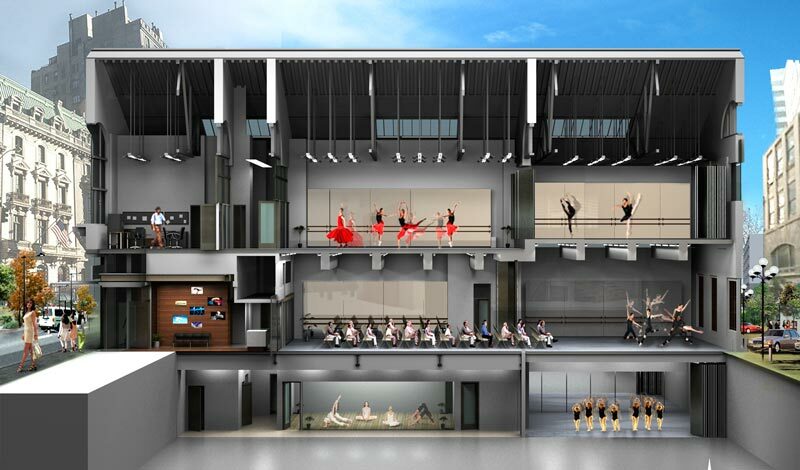 It also features a state-of-the-art theater, men’s and women’s locker rooms, a coffee shop, and a Capezio dance store.